In case you forgot, only 15% of Americans polled by Gallup accept that human beings evolved from other animals through natural processes*. This statistic has not changed meaningfully since Gallup started asking this question in 1982. This fact should be in the back of the mind of every science educator, and for that matter, every scientist, each and every day we go to work. It is a scientifically well-established fact that all life has evolved over long periods of time, and that all forms of life are related to each other. This fact is fundamental to our understanding of life on Earth. The goal of both educators and scientists is to expand our knowledge and awareness of our world, and it is therefore disconcerting that so few people are willing (or have had to opportunity to) acknowledge the wealth of information that an understanding of evolution provides. *A couple complaints about that link. First, the phrasing of the question, “human beings evolved over millions of years from less advanced forms of life” (emphasis mine) is poor, read on for reasons why. Second, belief that humans evolved “with God’s guidance” does not seem like a meaningful distinction to me, and does not suggest a proper understanding of evolution. The overwhelming number of people who do not accept evolution is intimidating. The fact that our politicians and leaders are often among this number is even more troubling. It can be tempting to retreat into academia and whine about the problem to our peers, or perhaps ignore it entirely. However, 30 years of unchanging results on the Gallup poll indicate that the issue is not going to go away. 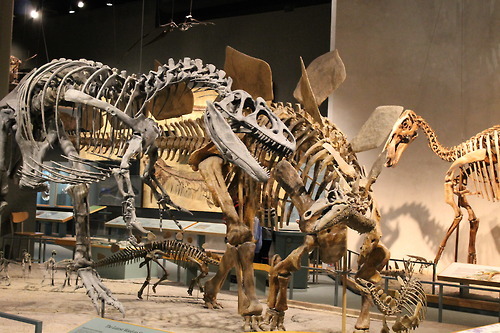 Both educators and scientists need to take the offensive and directly address misconceptions and misunderstandings about evolution, as well as find effective means to mitigate them. In the world of science education, one of the trickiest issues is supplying appropriate context. Although all good science can be explained in clear, readily-understandable language, most research still requires some background on the Big Ideas in science. Two huge examples are evolution by natural selection and the scientific method, which I briefly discussed here and here. 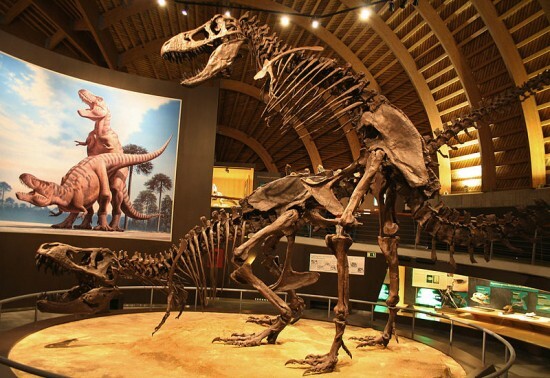 Without an understanding of how scientific ideas or generated or how evolution works, discussing the finer points of, say, feeding strategies of tyrannosaurs is quite pointless. Unfortunately, even among people who accept the fact that evolution is a real phenomenon, this background all too often does not exist. Educators need to supply the public with the context they need to understand current science, and one good area to focus is the reading of phylogenetic trees. A phylogenetic tree is a branching diagram that depicts inferred evolutionary relationships among organisms. A tree implicitly shows that included organisms descended and diversified from a common ancestor. As such, phylogenetic trees are a visual embodiment of evolutionary theory, and provide an informative narrative of the history of life. As is often the case, David Hone has already provided a wonderful explanation of how scientists construct trees and how to read them correctly, so I’ll just drop that link and move on. 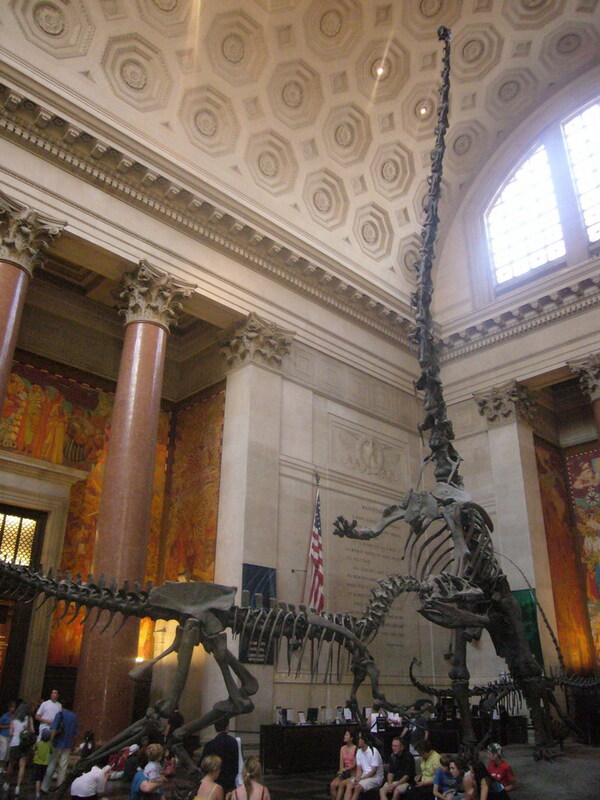 The problem is that although evolutionary trees are often used to convey ideas in museum displays and general interest science articles, many lay-viewers are interpreting them inaccurately. Reading a tree requires practice and expertise that shouldn’t be taken for granted, because misinterpretations only provide fodder for the anti-evolution/anti-science lobby. Let’s go through the common misinterpretations one at a time (many of these are discussed in Torrens and Barahona 2012, a few are my own additions). Evolution is goal-oriented. In fact, evolution is not progressive, but is the product of organisms adapting to their specific environment. When that environment changes, taxa that were once well-adapted often die out. Being “well-evolved” is therefore fluid and transitory state. The misconception of directed evolution is probably related to ingrained western religious views of human superiority over nature. Rather annoyingly, cultural anthropologists often buy into the erroneous idea of progressive evolution, and attempt to use it as evidence that science is but one of many equally correct world-views. There is a “main line” of evolution. This is largely the product of late 19th century drawings of trees of life which used literal trees as the basis of the diagram. Most famously, German natualist Ernst Haeckel illustrated the Systematischer Stammbaum des Menschen in his book Anthropogenie in 1874. In this drawing, the diversity of life is overlaid on a tree, which has a thick trunk running straight up to humans and other primates at the top. Again, this plays into concepts of human superiority and inevitability that have nothing to do with biological evolution. Some contemporary species are more or less evolved than others. All contemporary species, from sponges to frogs to humans, have been evolving for the same amount of time, and are just as adapted to their environments as we are. Unfortunately, placing humans or mammals at the top or the right of phylogenetic trees seems to be an unshakable habit, even for systematists, which only encourages the notion that these taxa are somehow better. Similarity among taxa always implies relatedness. Determining evolutionary relationships is a complex process. Modern systematists use huge matrices of independent characters to calculate the most parsimonious trees. Furthermore, Hennigean cladistics requires that relationships only be determined using synapomorphies (shared derived traits) rather than plesiomorphies (shared primitive conditions). 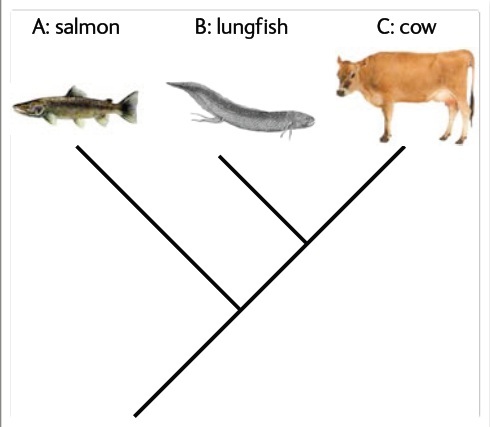 Although the salmon and the lungfish below superficially appear more like one another than the cow, similarities like a fishy shape and a lack of a neck are primitive conditions, not specializations. The synapomorphies shared by the lungfish and cow, such as jointed limbs and the ability to breathe air, inform us that they shared a more recent common ancestor than either did with ray-finned fish. A counter-intuitive cladogram. Subjective similarity does not always mean relatedness. Change only occurs at nodes. The nodes in a phylogenetic tree do not represent literal evolutionary events. Rather, evolution is a continuous process. This is a case where I like to ask people who make this misconception, “how could we know that?” This can get people thinking about what evidence is available to scientists, what conclusions can be reached from these data, and what isn’t known. Example taxa illustrated lower in the tree represent direct ancestors of taxa higher in the tree. It can be helpful to use fossil species to illustrate the general state of an evolutionary lineage at varying points in time (this is done all the time with diagrams of horse evolution). 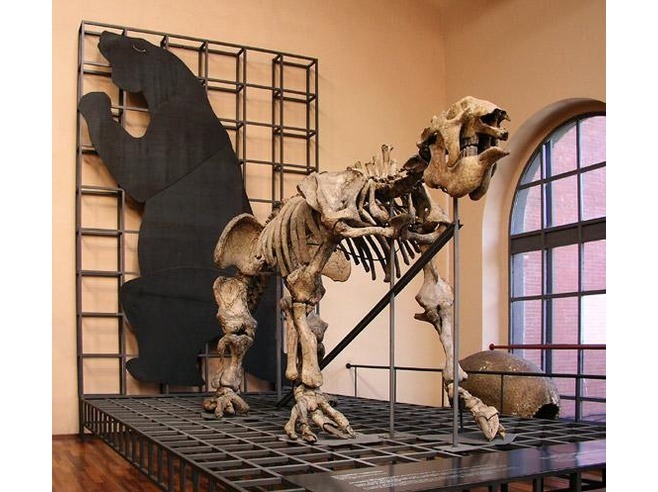 However, with few exceptions, the incomplete nature of the fossil record makes it impossible to know exactly which species were directly ancestral to others. Traditional Linnean categories are directly applicable to trees. In fact, most (sensible) modern systematists prefer the cladistic methodology, which requires that all groups be monophyletic (that is, made up of all descendents of a common ancestor, with no exclusions). 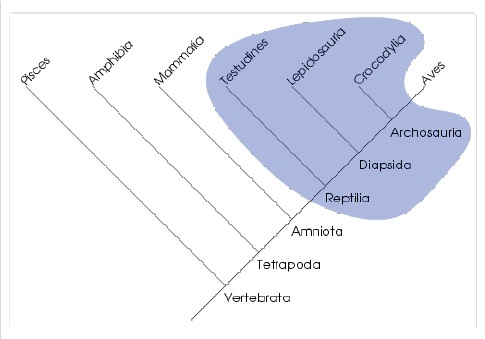 For example, the traditonal Linnean definition of reptiles, which includes turtles, lizards, snakes, tuataras and crocodiles, is not monophyletic, because any cladistic unification of these taxa would also have to include birds. 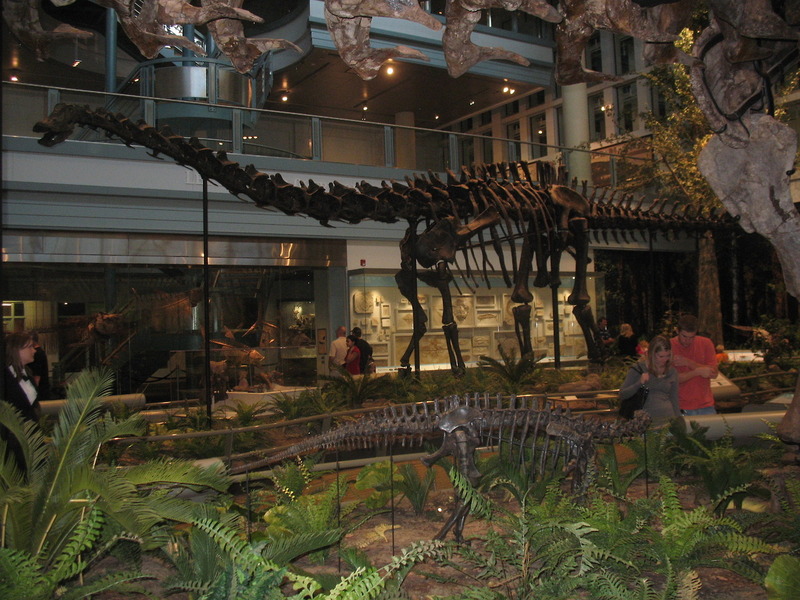 The traditional definition of reptiles, which excludes birds, is paraphyletic. This went on a bit longer than I expected, so I’m going to leave these issues hanging for the time being. But do not fret, I will finish this train of thought soon with a discussion of potential solutions to these misinterpretations that have been attempted, and some that may be attempted in the future. MacDonald, Teresa E. “Communicating Phylogeny: Evolutionary Tree Diagrams in Museums.” 2010. Paper presented at the NARST (National Association for Research in Science Teaching). Torrens, Erica and Barahona, Ana. 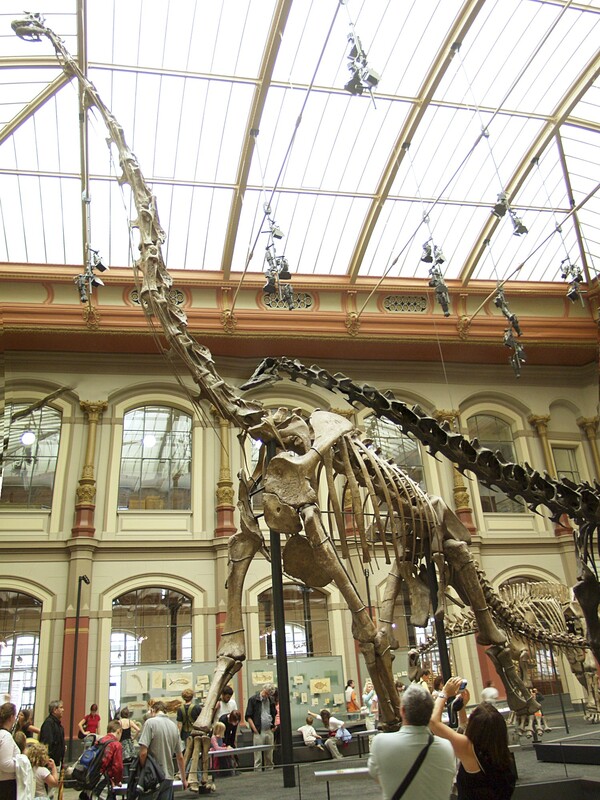 “Why are Some Evolutionary Trees in Natural History Museums Prone to Being Misinterpreted?” 2012 Evolution: Education and Outreach 1-25. 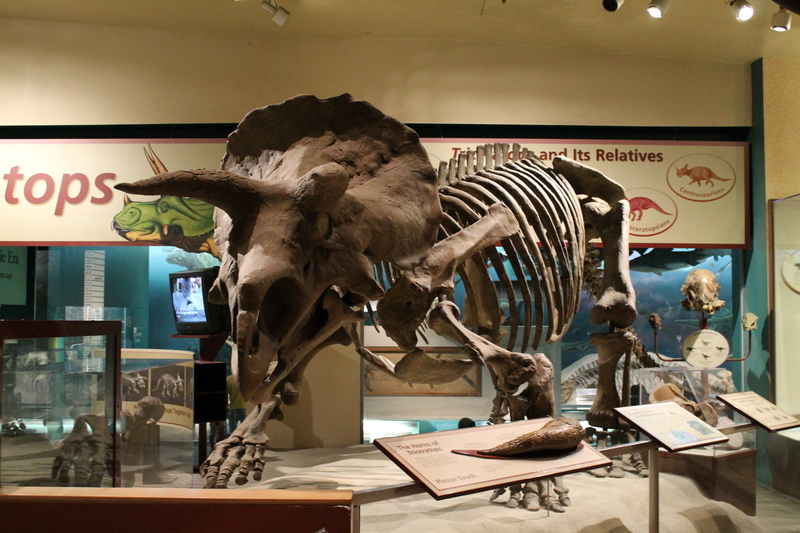 I just have to share this picture, also from the Carnegie Museum of Natural History (see previous post). 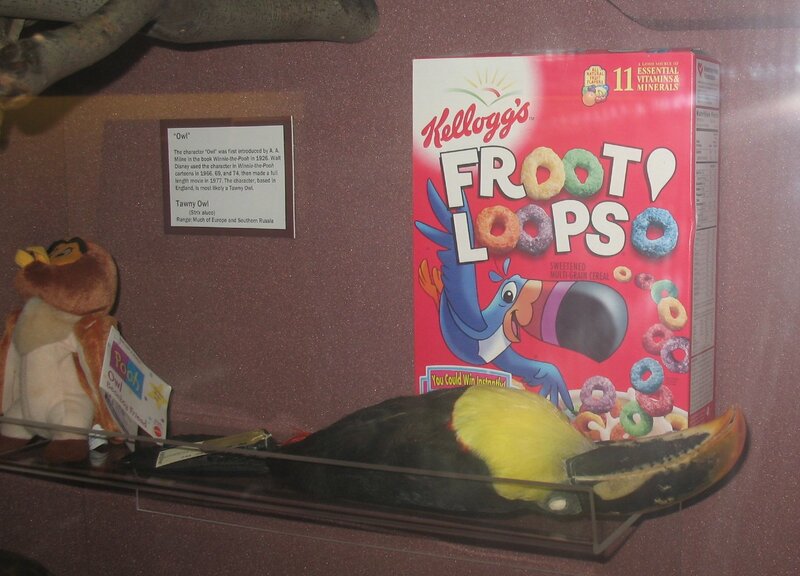 While the “Dinosaurs in their Time” gallery is fantastic, this has to be one of the worst museum displays I’ve ever seen, as well as one of the most fascinating.